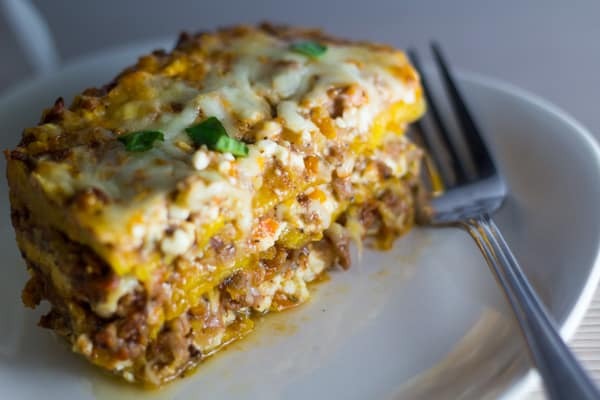 Plantain Lasagna: A Sweet and Savory Twist | Nashi Food! 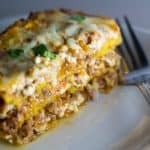 Plantain Lasagna, a sweet and savory version of lasagna, made with sweet plantains, beef, and cheese. 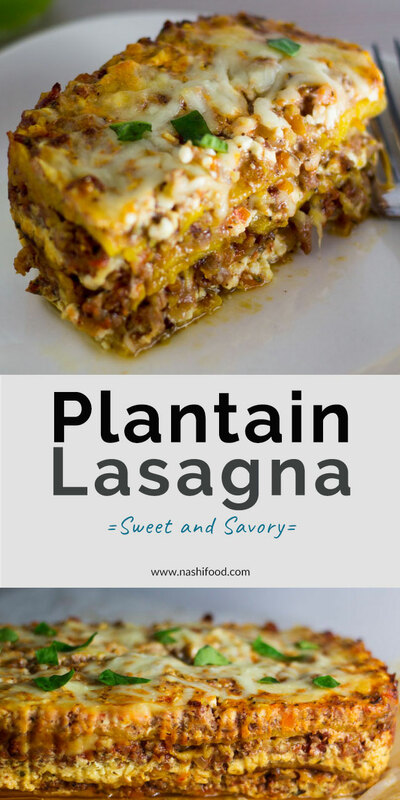 If you want to switch up your traditional lasagna recipe, try replacing your lasagna noodles with sweet plantains, it will result in a delicious Plantain Lasagna. Green Peel: they are not ripe yet, at this point they are firm and not sweet. Yellow Peel: they are ripe and have a mild sweet taste to them. Black Peel: they are at the peak of the ripeness and usually super sweet and soft to the touch. Mostly used in desserts. A few typical Panamanian recipes with plantain are Platanos en tentación, Fried Plantain (Patacones and yellow fried plantain), Patacones rellenos with beef or shrimp, and Chocao which is a dessert. Another recipe which I almost forget plantain tarts. 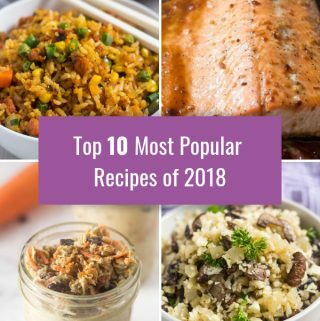 The majority of these recipes have a Caribbean flare to them. 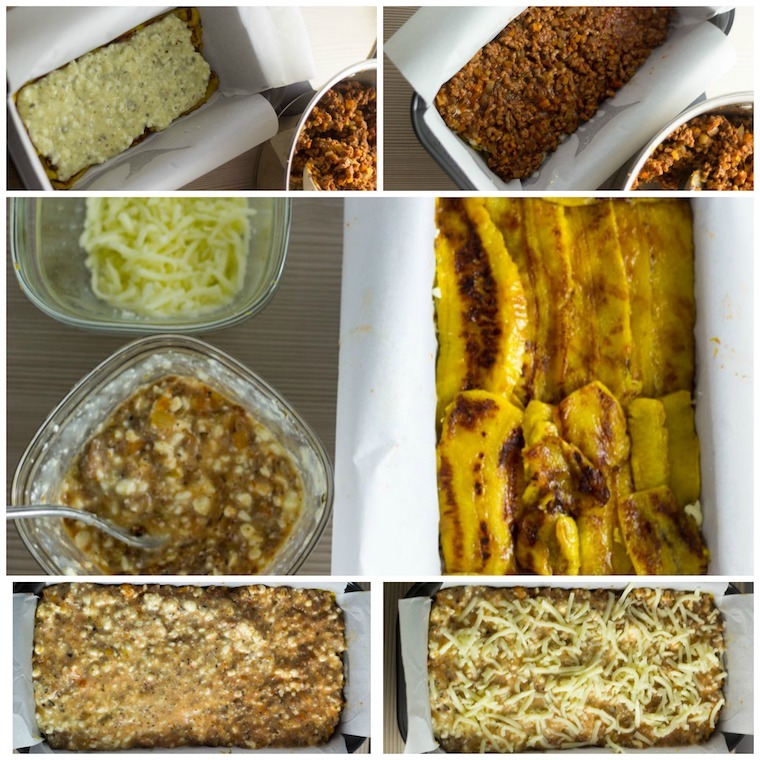 What you would need to make the plantain lasagna? For this recipe, we would use ripe or yellow plantains since they are soft and sweet. You can get ones that have a couple of black spots on them. We need them to be firm but soft to the touch, not mushy. I divided the recipe into four sections, to make it easier to prepare. Remember to preheat your oven to 350ºF. The first section we’ll be preparing is the beef. To start, finely dice the onion, carrots and celery stalk. Heat a skillet over medium heat and add half of the olive oil and the ground beef to brown for a few minutes, then transfer to a dish and set aside. In the same skillet add the remaining olive oil and saute the vegetables until tender. Next, add the garlic and saute for one more minute. Add back the ground beef and mix with the vegetables. 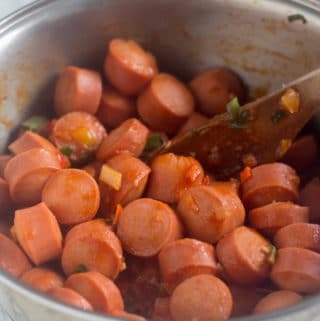 Reduce the heat to low, add the diced tomatoes and let the sauce simmer for 15 minutes. Our next section to prepare will be the plantains. First, we are going to peel the plantains. For this, you will need to cut the ends off. Then score the plantain skin with a paring knife along the seam and pull the peel back. Next, we are going to make long strips cutting the plantain horizontally. Spray some oil in a big skillet and fry the plantains until browned on each side. Do this in batches. Since my plantains were on the softer side, I didn’t want them to soak up oil, for that reason I use some oil in spray form. Next, just mix the cottage cheese with the Italian seasoning and the egg. Set aside for the assembly. Now the fun part, the assembly of the plantain lasagna. I used a loaf pan to make this lasagna. If you need to feed a bigger crowd, you can simply double the recipe. To prevent the lasagna from sticking, line your loaf pan with parchment paper. Start with the plantain strips, then the cottage cheese mixture, then the ground beef and the mozzarella cheese. Repeat once more. The third layer of plantains will be the last one. Mix the remaining ground beef with the cottage cheese mixture, add to that plantain top layer, and sprinkle the remaining mozzarella cheese. 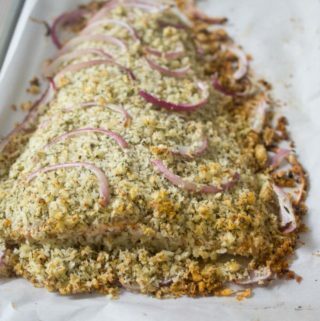 Transfer to the oven and bake for 30 minutes. Let it cool for 10 minutes and garnish with some chopped basil leaves. 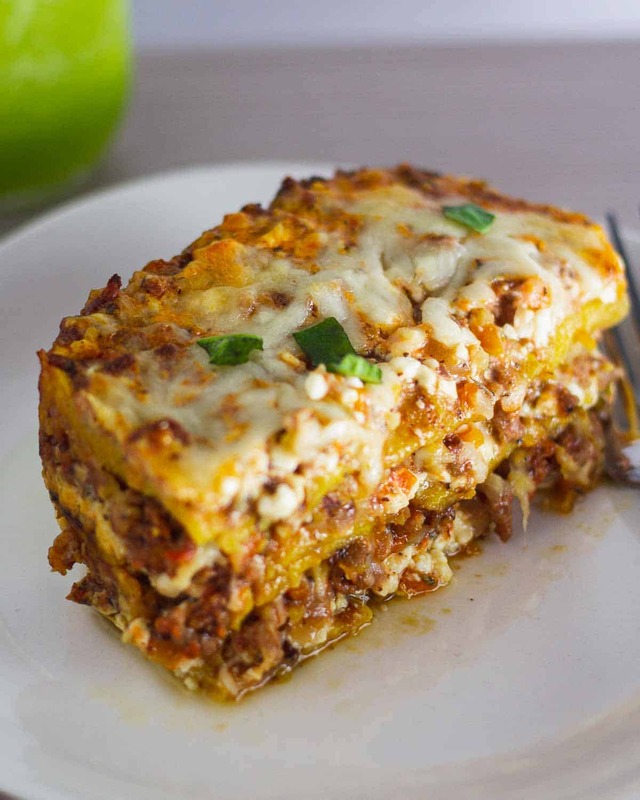 A sweet and savory version of lasagna, made with sweet plantains, beef, and cheese. I promise you won't miss the pasta. Finely dice the onion, carrot and celery stalk. Heat a skillet over medium heat, add 1 tsp of olive oil and add the meat. Brown it for 5 minutes. Transfer the ground meat to a dish and set aside. In the same skillet add the remaining olive oil and saute the onion, carrots, and celery stalk until tender. Next, add the garlic and saute for 1 more minute. Add back the ground meat to the vegetables and mix everything. Season with salt, pepper, and oregano. Reduce to low heat, add the diced tomatoes and let it simmer for 15 minutes. 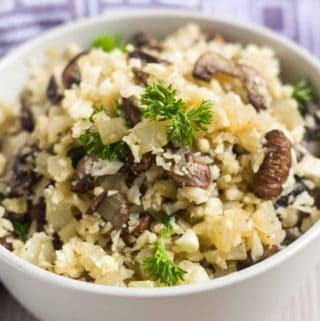 In a medium size bowl mix the egg, cottage cheese with the Italian seasoning. Peel your plantains and slice them into long strips horizontally. In a big skillet spray some oil and just lightly fry the plantain strips until golden on each side. Repeat until you have finished with all the strips. To assemble, line a loaf pan with some parchment paper to prevent the lasagna from sticking. Start layering: plantain strips, cottage cheese mixture, ground beef mixture, and then mozzarella. Repeat one more time. 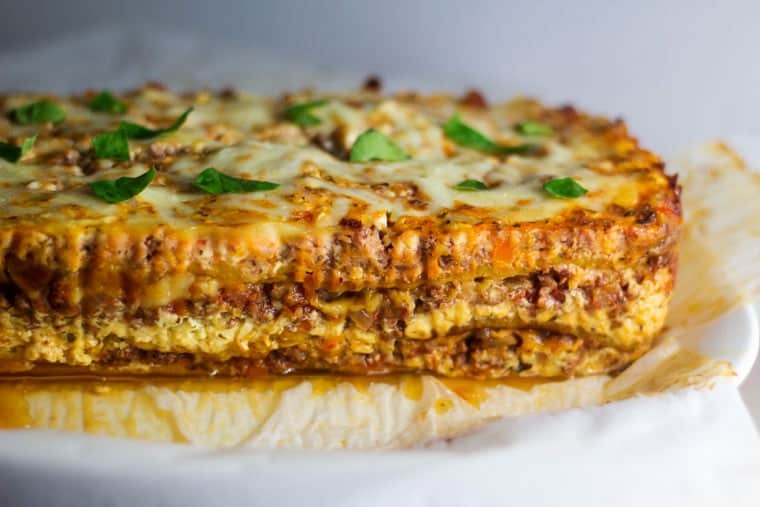 Mixed the remaining ground beef with the cheese mixture, and add it onto the top layer of the lasagna. Add remaining mozzarella. Let it cool for 10 minutes, garnish with the chopped basil leaves and devour! It looks so delicious! I’ve never tried to cook with plantain before but you have inspired me. And what a great way to get some extra vegetable (or are they a fruit?) into the lasagne. This recipe looks amazing. I love sweet plantains! This is simply a stunner! 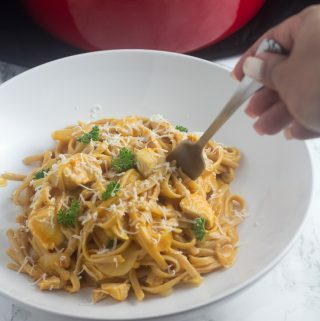 I never would have considered plaintains as a sub for pasta, but this looks so appetizing I’m beginning to wonder why I’d ever use pasta again! So much healther, too! 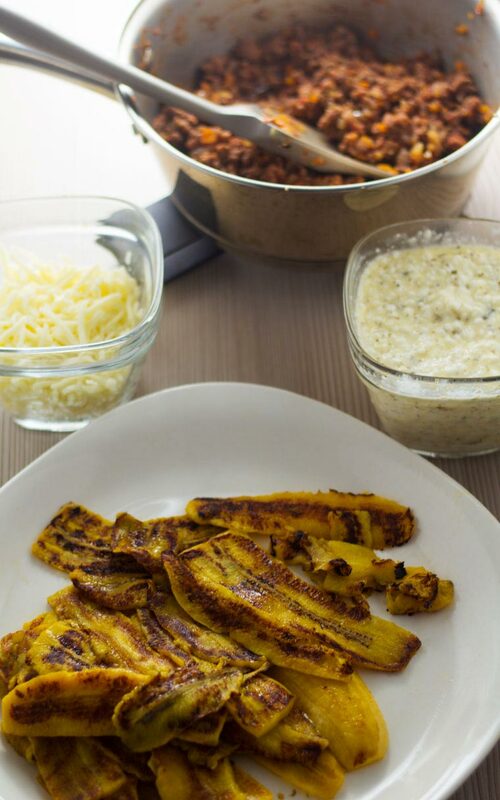 Now that’s really creative to make lasagna out of plantains! I would really love to try, it looks so delicious. 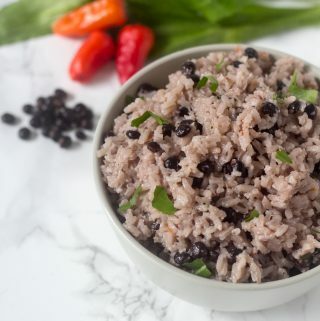 This sounds amazing – I cannot wait to try it! So creative! Looks great and may try it, and would be great for my SERVICE DOGGIES, being they won’t eat fruit. I cook for them, NO CRAPPY DOG FOOD!!! I don’t feed them what I won’t eat!!! !